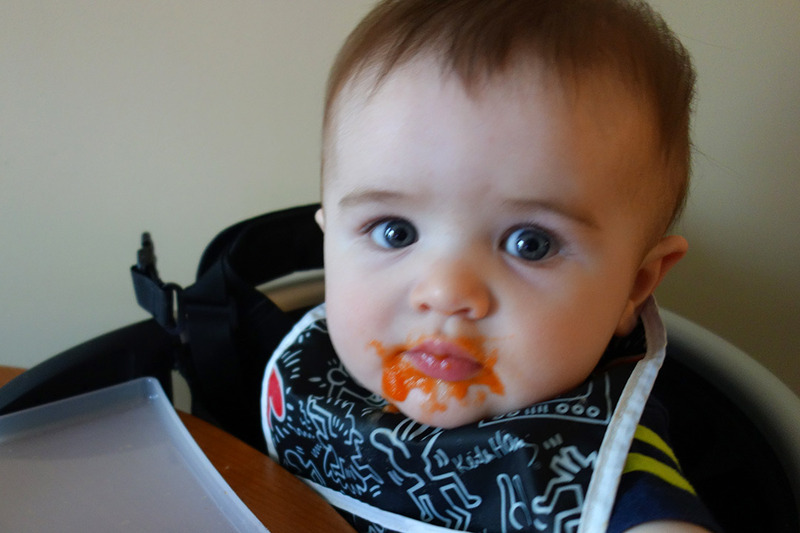 Henry liked the carrots last night. Mark commented that this looks more like ketchup, but it really is carrots. This entry was tagged carrots, eating, food. Bookmark the permalink. Now it seems as though your mom and I would have had source of contention when you were a baby..I would have fed you carrots and she would have opted for blueberry buckle!! I give him little sips of chocolate milk to make up for all this health nonsense. Ha ha. I’m just so glad Henry is a good eater and will eat carrots and squash. Thanks for all the great posts of our pride and joy! Love ya’ll.